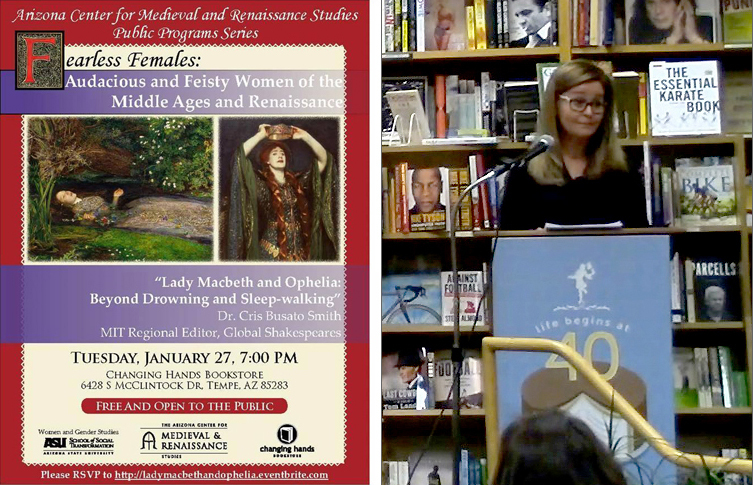 Cris Busato Smith, Brazil Regional Editor for MIT Global Shakespeares, delivered a lecture on Tuesday, January 27, 2015 at the Changing Hands Bookstore in Tempe, AZ entitled “Lady Macbeth and Ophelia: Beyond Drowning and Sleep-walking.” The event was well attended and generated many questions from the audience. 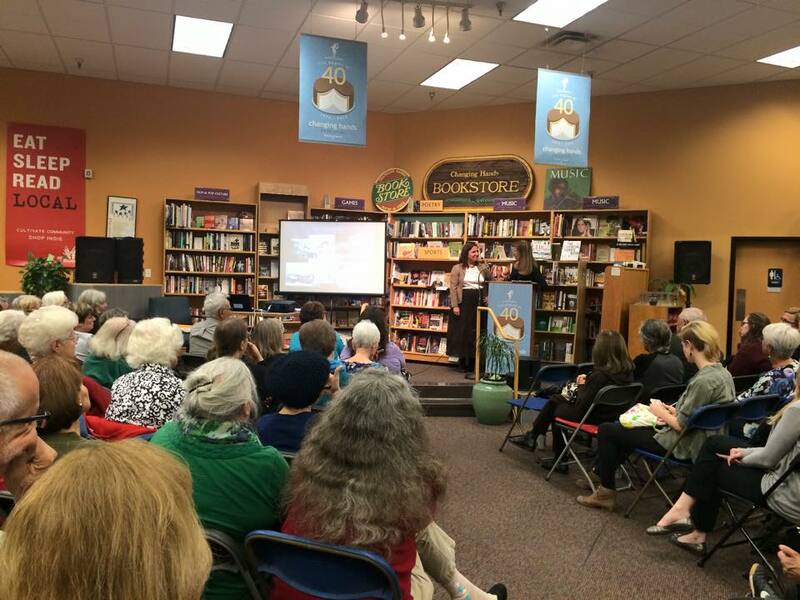 The lecture was part of the Arizona Center for Medieval and Renaissance Studies Public Programs Series. Both Lady Macbeth and Ophelia have intriguing stories that transgress the space of page from stage to real life. Whether in the guise of a ruthless, ambitious woman or a beautiful suicidal muse, both characters have exerted a strong appeal to popular imagination. This talk investigates the cultural contexts that prompted this interesting phenomenon. Cris Busato Smith is an MIT regional editor for Global Shakespeares and an ACMRS adjunct scholar. She has taught at both undergraduate and graduate levels in Brazil. She received an MA in English and American Literature in 1995, and a PhD in Literary Studies from the Federal University of Parana (the oldest university in Brazil) in 2007. She also held a Visiting Fellowship at the Centre for Cultural Analysis, Theory and History (University of Leeds, UK). Over the last fifteen years, Dr. Smith published numerous articles on literature and Shakespeare. She is the author of Representations of Ophelia in Victorian England (in press).